Hello Loves. Have you ever wondered why there isn't a gel polish company that offers a salon quality product and direct sales opportunities? Well, now there is! Introducing GelMoment! 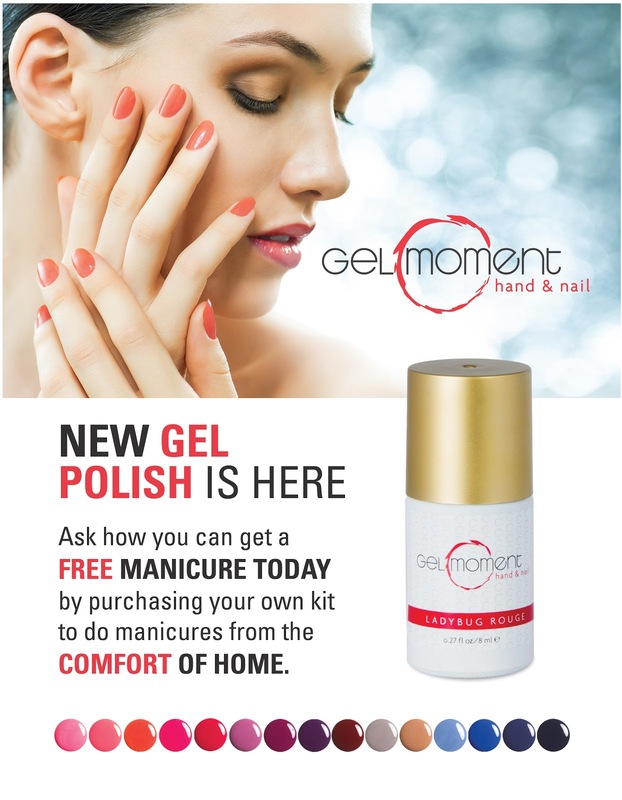 GelMoment offers an at home gel manicure system and direct sales business opportunity. GelMoment gel polish is an all in one polish including base, color and top coat in one bottle. It cures by LED lamps in 60 seconds and is perfect for today's woman on the go. The polish is 5 free, solvent free, cruelty-free, eco friendly and ODORLESS. With 15 available colors and more coming soon, you are sure to find the perfect color for every occasion. What makes GelMoment Gel Polish different than other at home gel polish systems? The all in one formula reduces manicure time by eliminating the need for a separate base and top coat. One or two coats of this LED cured gel polish is all you need for a flawless, durable manicure that will last! GelMoment also thoroughly tests every color in their gel polish line to ensure the highest quality polish so you can trust that your manicure will remain perfect for up to two weeks. Additionally, the 2 finger LED lamp is reasonably priced at $25 and comes with a lifetime warranty. It is compact but offers an open design that allows for use with fingers and toes. The LED lamp also has two power options - it can be used with a traditional plug or can be powered via USB with your laptop, making it the perfect travel lamp option. While GelMoment may be compatible with other LED lamps on the market, cure times may need to be adjusted. In addition to the gel polish and compact LED lamp, GelMoment also offers 4 basic necessity products for a perfect gel polish manicure: a file/buffer, a cuticle pusher with an ergonomic grip, individually wrapped cleanser pads, and individually wrapped, pre-moistened remover pads with adhesive strips that secure the pads to your finger, allowing for simple, mess free removal in 10 minutes. This truly is the perfect system for home or travel! 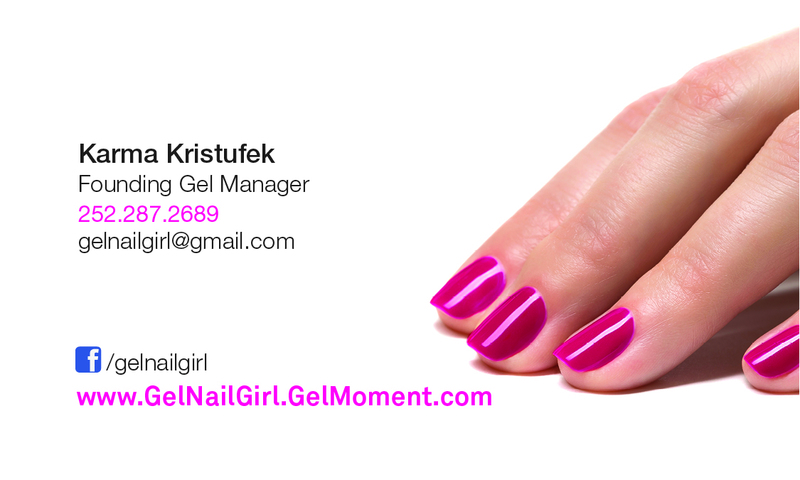 GelMoment is also unique to the gel polish industry in that it offers a home based/direct sales opportunity. Based out of Canada, GelMoment is currently open to enrollment for registered resellers/independent consultants in both the US and Canada. 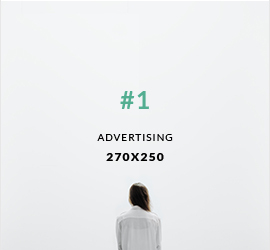 The company offers a very generous compensation plan - one of the best in the direct sales industry. The sky is the limit with this ground floor business opportunity. Joining now can get you in on the ground floor with a rapidly growing company selling products we all love, or joining to get wholesale pricing. Currently, there are less than 750 registered resellers and independent consultants throughout the US and Canada. You could be the first to bring this fantastic product to your city! To learn more about GelMoment products or to become a registered GelMoment reseller, you can also visit Karma's GelMoment website at gelnailgirl.gelmoment.com. A note to my US readers: GelMoment products ship from Canada. If you are in the US and would like to purchase products, please email Karma at gelnailgirl@gmail.com instead of purchasing directly through the website. She can ship via priority mail to avoid longer shipping times and higher shipping costs. Karma can also be reached through her facebook page here. Stay tuned for more about GelMoment in a few weeks! *This post was sponsored by Karma Kristufek from GelMoment. All statements within this post were provided by GelMoment and are not the opinions of Michelle or ManicTalons.